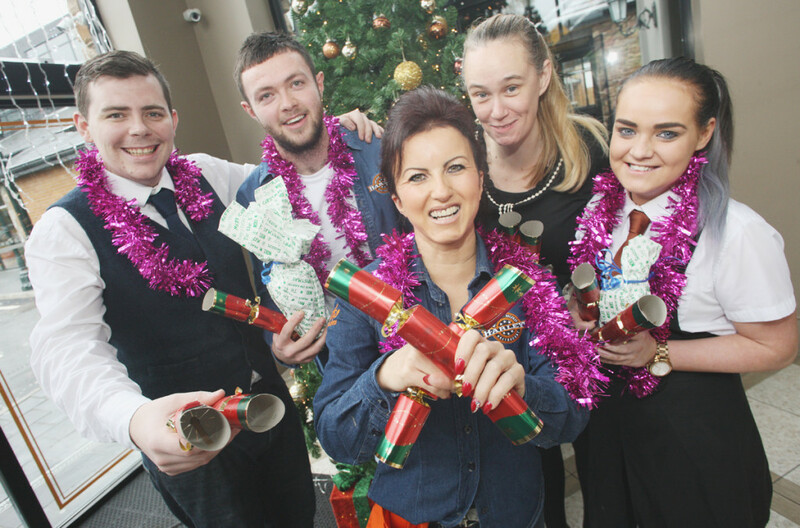 THE Devenish Complex will host a very special Christmas dinner next Tuesday for the homeless. Along with inviting the homeless for a slap-up Christmas dinner, their main office located at GymCo on Finaghy Road North will act as a drop-off point until Christmas Eve for all the materials we take for granted. The public are welcome to donate sleeping bags, toiletries and new winter clothing, all of which are a top priority at this time of year for the homeless. Jim Conlon, Director of the Devenish and the JDM group, who have a range of businesses across the city including fast food chains Pizza Co & ChipCo and a host of bars and restaurants, has been the driving force behind this initiative. “Having had a long term relationship with Hope Outreach we are trying to build upon the work we have done so far and what we can do to help the homeless,” he said. “At Christmas it is very easy to forget about those who are most in need and may be on our streets this Christmas Day. Anything we can do to help, we will, and we are asking for the people of Belfast to support the campaign. “Given the tragic circumstances of a young homeless man’s death in recent weeks, it has never been more prevalent that we all have a responsibility to help in anyway we can. In a further stroke of festive cheer, staff at the Devenish have also offered to work voluntarily at the dinner on Tuesday.